Once upon a time, a festival was merely a series of bands playing on a stage. Nowadays, the experience of attending one involves so much more than just music and simply removing us from our daily grind; they've evolved into a chance to learn about the world and ourselves in a safe place, where ideas can be shared freely via workshops and seminars. 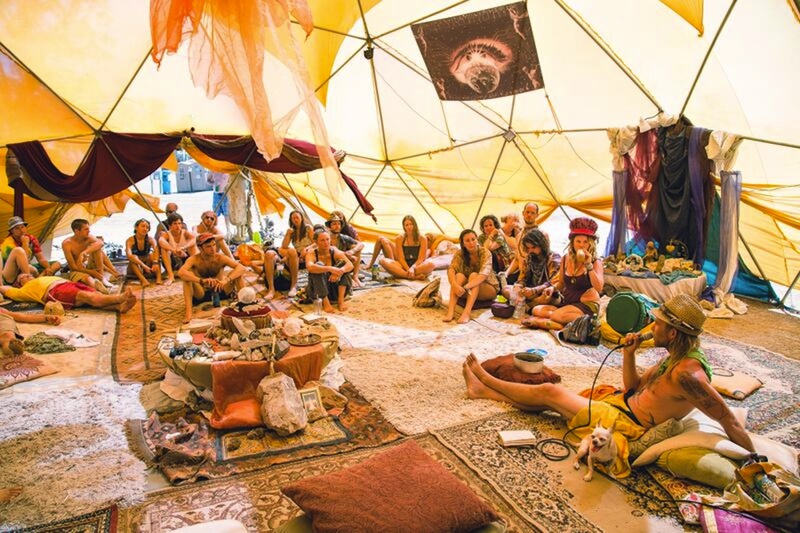 Once Upon A Festival , held near Sacramento, California, is one of those gatherings where journeys of personal exploration are the norm. 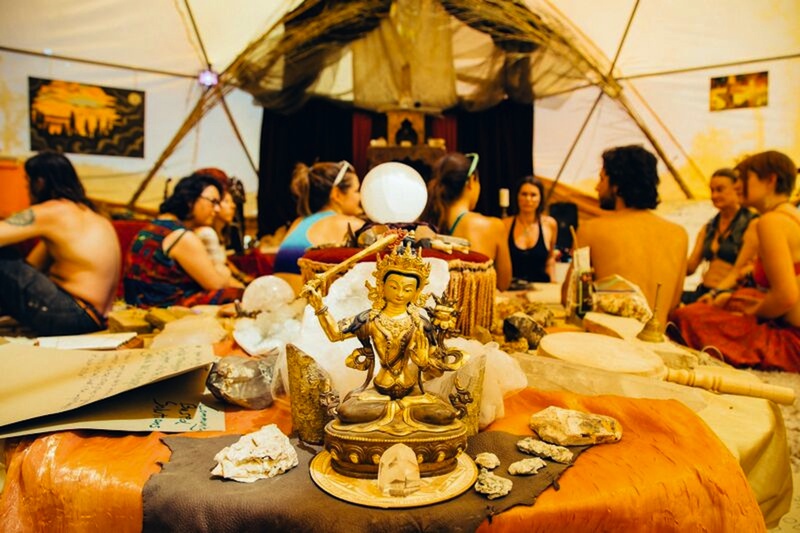 Their lineup of workshops features luminaries in the fields of healing and progressive thought, all offered to facilitate festival-goers' deep-seeded, ongoing need to build better selves – through our bodies, our spirits, and the earth. Here are three that got us feeling totally transformed. The Herbal Home Medicine workshop is all about balance. The medicines and therapies discussed by Kouros Alaee are talked about holistically and with conviction. However, things got really interesting when he placed a box of jars on the ground in front of the class. "Have you ever wanted to treat a headache?" he asked. Two jars were held up with herbs to combat the most severe migraines. "How about a fungal infection?" From upset stomachs to massage oils Alaee had each student pick a jar from the box so that they could begin filling it with the ingredients to concoct their very own remedy for the ailment of their choosing. With the practice of preparing herbal medicines the workshop also passed on a respect for the bond between nature and body, along with an understanding that we each have a responsibility to make choices that will be a positive impact on our health. In Kirsten Elise Young’s workshop on Tapping Into Your Soul’s Purpose, I learned that memory, focus and personal happiness can increase simply by making steady soft taps on assorted pressure points. Who knew?! In doing this – it's called the Emotional Freedom Technique, which involves tapping on the body's meridian points to clear fears, old thought patterns, and traumatic memories – Young suggested that clearing the mind of distractions is not only possible, but it's also easy. "If you had all the money and time in the world what would you do?" asked Young. By framing questions where time and money cannot hinder progress it becomes much easier to reach goals when excuses can't take root. In other words, taking excuses off the table helps us admit when there are challenges that prohibit success. In declaring goals aloud, we also reaffirm its importance with a commitment to overcome the obstacles in the way. As we leaned and stretched, the instructors talked about the qualities of the earth like strength, harmony and growth. With the post-yoga zen in full effect attendees connected with one another by making inkless drawings on the backs of the person next to them, inspired by the patterns found in nature; with each one a new lesson about the planet emerged. The class culminated in an empowering group discussion about the challenges of the planet, which, we learned, can be addressed by the sort of choices we make every day. Life is rarely a fairy tale, and sometimes the challenges we face in it can be daunting. 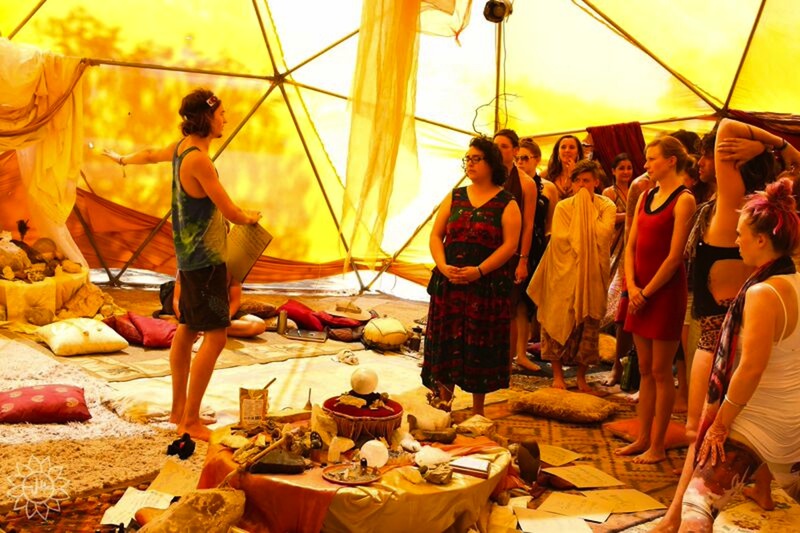 Fortunately, the workshop scene at our most loved festivals are gaining momentum. For many, this represents a growing potential to make a lasting impact on individuals and a shared hope for our culture at large. In the end, workshops may not serve up a storybook ending for all who attend, but I personally find some comfort in the knowledge that within the festival community there are efforts being made by folks like those at Once Upon A Festival to help each of us continue on the road to a better tomorrow by providing a space where people like you and I can live, learn, and grow today.